Before joining St. Mary’s in the newly created position of the Contreras Family Executive in Residence for Risk Management, Susan Gordon spent nearly 30 years in corporate risk management in the engineering and construction industry. 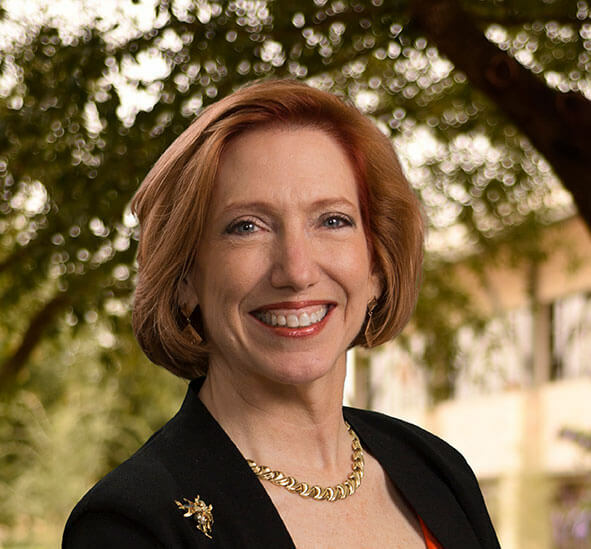 Most recently, she served as Director of Risk Management for The Zachry Group, which employs more than 20,000 employees in more than 400 locations nationwide. She led Zachry’s Risk Management Department from 2006-2017, and with her 10-person department provided risk management and insurance support and services for Zachry, its affiliated businesses and subsidiaries, and joint venture partnerships. Gordon brings with her tremendous expertise and extensive industry contacts through her wide professional network. She has served on client advisory boards for AIG, Berkshire Hathaway, Chubb Bermuda and Zurich North America, as well as International Risk Management Institute’s Construction Risk Conference Advisory Board. She is active with the Risk and Insurance Management Society (RIMS), the Associated General Contractors of America (AGC) Risk Management Committee, and Construction Industry Institute’s Risk Management Community of Practice. Gordon received her B.B.A in risk management and insurance from the University of Georgia. She also has a Construction Risk and Insurance Specialist (CRIS) certification.